Knee brace is useful for knee sprains/strains, Osgood Schlatter disease, jumpers knee patellar instability, sports activity injuries. It provides soft support for the patella ligament, tibia bone and reduces stress on knee injured area.It is made up of neoprene rubber material which is highly durable synthetic and water resistant. Knee binder online also helps in mobility of knee movements while jogging or walking and best option for arthritic pain, sports injury. Very easy to apply using velcro to support upper and lower part of the knee. It is useful for knee sprains/strains, Osgood Schlatter disease, jumpers knee patellar instability, sports activity injuries. 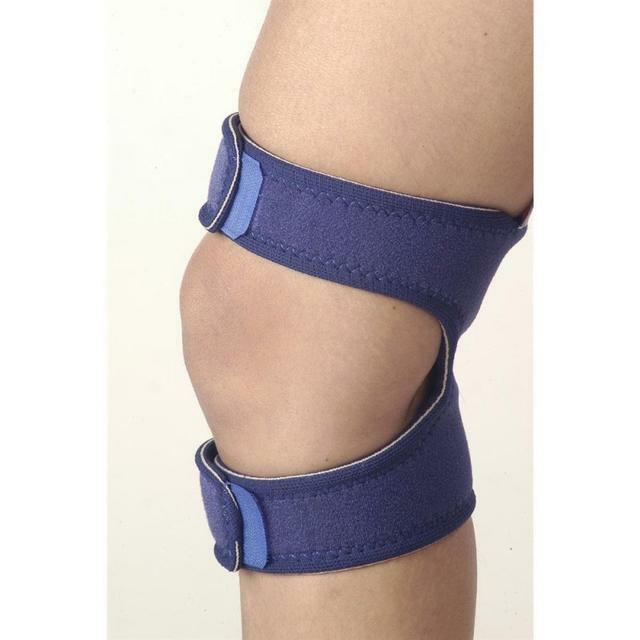 It provides soft support for the patella ligament, tibia bone and reduces stress on knee injured area. It also helps in mobility of knee movements while jogging or walking and best option for arthritic pain, sports injury. A lightweight orthopedic support product and rehabilitation aid. It is made up of neoprene rubber material which is highly durable synthetic and water resistant. Liquid Hand Wash and Dry in Shawdow Area.